The intent is good, but the message can be misconstrued. The problem is not that the average person needs to "put down the guns". That is not the cause, common people who owns guns. Big Pharma with pyschoactive drugs, and a society of corruption in which people know they are being fucked by the government cause deep stress. A disfunctional economic model pimped out as a "great economy" when many know exactly how it has marginalized them. Then a controlled media pitching memes that are against the good of the American people. These are some of the primary causes. Besides of course the mass murder caused by the promotion Islam per the globalists "plans" and the chaos in the mid-east flamed by false wars often generated via USA or USA controlled interests. Guns are the last thing keeping an overbearing, financially and morally bankrupt US and state government system form coming down even harder upon us. stock here at a loss for words. 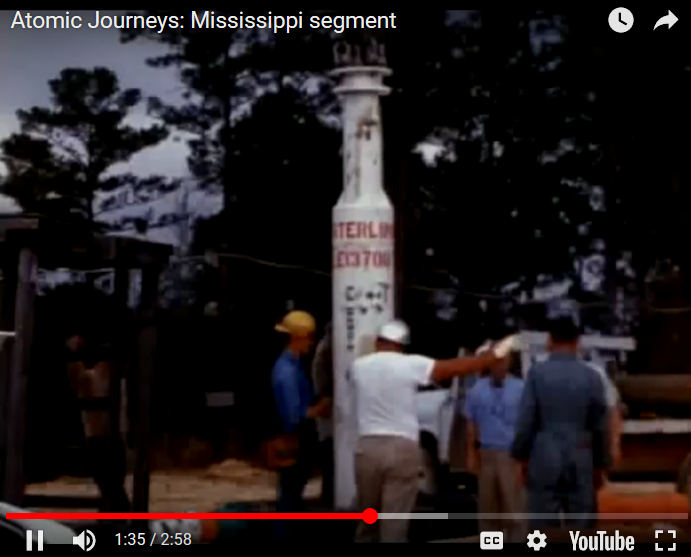 They tested nuclear bombs in Mississippi. When you think of nuclear test sites, remote Pacific islands and desert wastelands come to mind. Not many people think of Hattiesburg, Mississippi — but the United States carried out two nuclear tests in a little town just outside that city in 1964, in an operation that went by the reassuring-to-no-one moniker Project Dribble. No one saw any mushroom clouds, though, because the two nukes they tested were detonated underground, in a 3,000-foot-deep shaft drilled into a reservoir of ancient salt called the Tatum Salt Dome. An area five miles downwind and two miles upwind from the test site was evacuated. Inconvenienced residents were paid $10 per adult and $5 per child for their trouble, and many came back to find collapsed shelves in their kitchens, cracks in their ceilings, and wells that had gone dry. Underground crater after the explosion, it measured more than a hundred feet in diameter. Three months later, the air in the hole it made was still four hundred degrees.